I’m running out of ways to explain how 49 Days keeps getting better and keeps changing the game. If the first eight episodes were like my dog Maru turning in circles chasing his tail (he’s not terribly bright, and the first 8 episodes of 49 Days were not terribly good with the early repetition, is my analogy), the second eights episodes were like Maru spying the cat next door wearing a sausage necklace. Yup, he took after after it, and 49 days has taken off so incredibly since it’s sputtering start I wish I could clone myself so I can produce both recaps today at the same time. Episode 16 had one scene that made me cry hardest in this drama since I started watching it, and it was scored with the best song from the OST so far. I should call this episode “he knows that she knows that he knows….”, well, you get the picture. It was the turning point where everyone critical to this story knows pretty much the entire picture, and now all that left is the million dollar question. What are you (insert name of character) going to do about it? Everything is up in the air in terms of life, death, and future, for everyone, except for my Kang-ah. Scheduler insists to Ji Kyung that he doesn’t know who the woman in the picture is, while Ji Kyung tells him that just because he denies it doesn’t mean it doesn’t mean something. These same words Yi Kyung said to Yi Soo triggers his memory, and Scheduler starts to cry. He puts his hands around Ji Kyung’s face, calling her Yi Kyung, asking what happened to her? Ji Kyung pushes Scheduler’s hands off her, loudly reminding him that she is not Song Yi Kyung, she is Shin Ji Hyun. Scheduler regains his composure, looking at the picture, wondering what it means. He confesses that he’s never seen the picture before, but knowing that it was in Yi Kyung’s possession, he realizes now why Yi Kyung was so angry at him before. He starts to sob again, and Ji Kyung can only look on. We flash back to Yi Kyung and Yi Soo’s confrontation in his basement music studio. She is holding the picture, but she doesn’t show him. She reminds him that he promised to do everything with her. He tells her that real love shouldn’t force him to give up his interests. Yi Kyung accuses him of using music as an excuse to fool around with other girls, which gets Yi Soo upset that she’s going there again. He reassures her that the girls are all the other guys’ sisters and friends. Yi Kyung tells him that just because he denies it, doesn’t mean it didn’t happen. Yi Kyung asks him what she means to him. He tells her to stop, he’s annoyed right now. Yi Soo stands up, and tells her that she is annoying him right now. The thought of marrying her freaks him out. Knowing that he will have to spend the next 30, 40 years only looking at her face, that upsets him. He yells at her for not knowing when to change and grow up, why does she insist on everything staying the same? Yi Kyung runs off, and Yi Soo is frustrated. 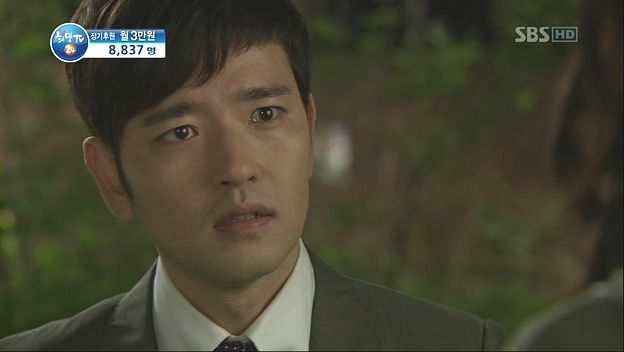 Yi Soo sees Yi Kyung walking outside of the hotel in sadness, but he doesn’t go apologize, explaining that it’s hard to just discuss it right now. He’s off for two weeks of performances, and he looks back at Yi Kyung’s back, telling her to go ahead and miss him for two week. Yi Soo is working at a construction site during the day, and performing during the night for the next two weeks. He works so hard he gets a nosebleed. Yi Soo buys a ring for Yi Kyung, telling the sales lady to engrave “S loves K” inside the simple gold band. Yi Soo rides his motorcycle, which also has a S loves K sticker on it. He’s happy, enjoying the lovely day, and he takes out the ring to look at it. He smiles to himself, which is when the ring almost falls and he bends down to pick it up. When he looks back up, he sees a truck directly ahead of him. He swerves to miss the truck, but collides head on with it. Yi Soo flies off, and OMG there is so much blood. Yi Soo flashes back to happier days with Yi Kyung, and in his dying breath he reaches for the ring that is laying on the pavement just beyond his reach. Damn you, drama, for making me cry like a baby. My gut, its just been ripped out, thank you very much. Scheduler finishes telling Ji Kyung this story, and she asks him why he took this picture? Yi Soo says that the girl took his picture when he was sleep. Scheduler tells Ji Kyung to give this body back to Yi Kyung, he has to explain to her. Suddenly Scheduler wonders how it’s possible he can get his memory back? He calls his sunbae, asking how he could allow Yi Kyung to live like that for the past five years? Suddenly Scheduler’s head starts to buzz, which is a sign that the powers to be are summoning him. He takes off, telling Ji Kyung to take care of herself. Ji Kyung walks and thinks back to her conversation with In Jung. Ji Hyun gave love, which was received by In Jung as pity. Yi Soo gave love, which was received by Yi Kyung as his unfaithfulness. Ji Kyung wonders how to show someone the real heart inside. In Jung goes to meet with a spiritual woman, who tells In Jung that a spirit has found In Jung, and the spirit has been to many places. 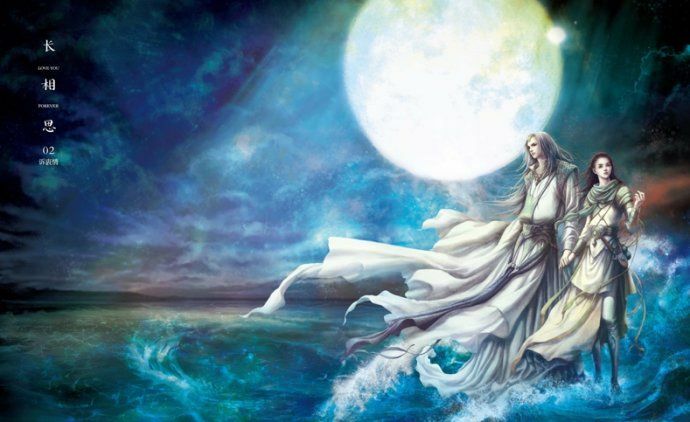 The spirit woman says In Jung has done many bad things, and the only way to stop this spirit is to get it out of the body. In Jung looks for the envelope she received with the newspaper, calling the delivery service to ask for the address of the sender. Kang comes back to the restaurant to see the manager and his wife having a fight. 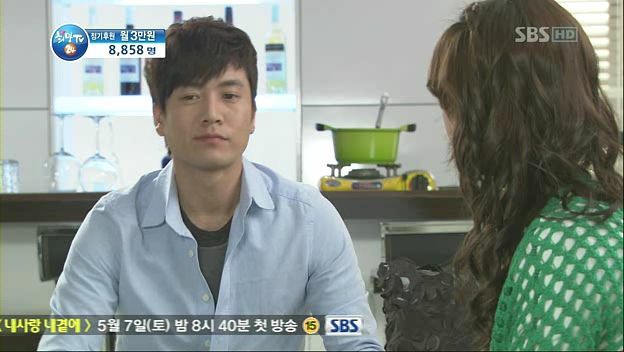 The manager cries and tells his wife not to leave, and Kang smiles to see them reconcile. Which leads Kang to realize that the shape of Ji Kyung’s necklace is in the shape of a tear, and he realizes that tears are a sign of genuine emotion. Kang hears further confirmation from the manager’s wife and the waitress that tears are the sign of real emotion. He’s happy, especially when Ji Kyung comes back right then. She asks if she can keep the box she is carrying here for the time being. Kang takes the box and brings Ji Kyung back to his office to talk. He asks her where she got the pretty necklace? She says she didn’t buy the necklace, it was given to her. Kang says the necklace used to be empty, but now it has a tear in it. He pushes Ji Hyun to tell him when it changed, and Ji Kyung confesses that she got the tear on the day she handed her resignation letter to him. 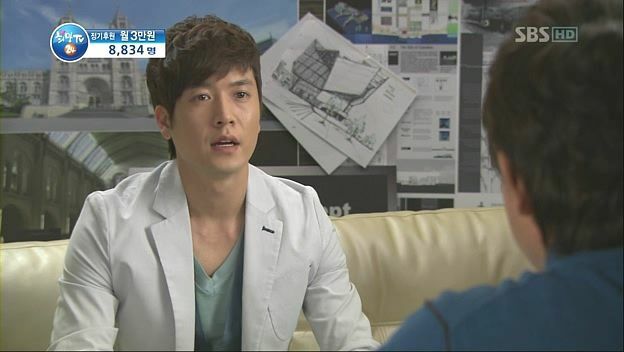 Kang realizes it was the day he cried in Ji Hyun’s hospital room, and he tells Ji Kyung the truth today. Ji Kyung realizes that her tear came from Kang, and she starts to tear up and thanks him. Seo Woo comes by to see Kang, asking him if he knows about In Jung and Min Ho. Ji Kyung, who is on her way out, hears that Seo Woo also knows. Min Ho meets with his cohort, who reminds him that once Ji Hyun’s dad wakes up, the will won’t be valid anymore. The cohort tells Min Ho to never ask him to halt this plan again, and Min Ho agrees. The cohort leaves, and the waiter from the restaurant follows him, likely on orders of Min Ho. 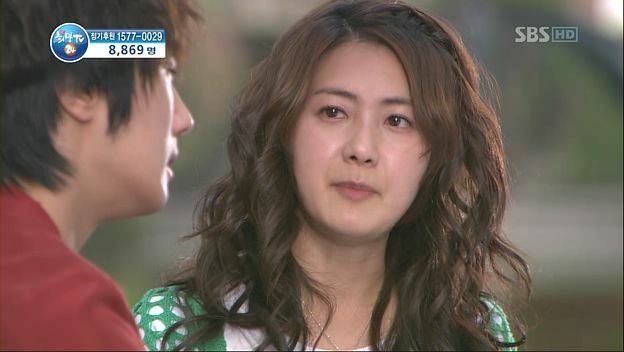 Kang discusses with the manager this new information on getting Ji Hyun her tears so that she can live again. Kang tells the manager that he got himself a good woman, and the manager likewise tells Kang that he’s got himself a good woman. The manager says that Ji Hyun is so cheerful and optimistic, he doesn’t know why Min Ho would do this? Kang confesses that taking into account Min Ho’s tough childhood, it’s perhaps understandable why he would do this. The manager says that a hard childhood is no excuse for doing this. They discuss where Min Ho’s mom is now, and Kang confesses that he doesn’t know. The manager asks Kang whether the real Song Yi Kyung is doing okay? Kang says he will keep an eye on her, and the manager tells him to start letting Yi Kyung get familiar with him. Kang heads outside and sees Ji Kyung standing in the courtyard, receiving a call from Min Ho demanding that she come down right now. Ji Kyung wants to head down, but Kang stops her, telling her to stop now, there is nothing else she can do by associating with Min Ho further. He asks her to stop, he can’t continue to watch it anymore. Kang wants her to trust him. Ji Kyung promises to get rid of Min Ho and come right back. Min Ho asks Ji Kyung why she won’t quit her job working for Kang? She tells him that there is someone here she likes, and for him to leave. Min Ho demands to know if she likes Kang, and what Kang means to her? Ji Kyung tells Min Ho that she’s never once liked him. In the past she may have mistakenly felt something for him, but it’s not there any longer. Min Ho starts to grab Ji Kyung to demand why she’s here (why she exists in his life), which is when Kang comes down and pulls him off of her. Kang tells Min Ho to not see this woman anymore, and to never come here in the future. Min Ho calls out “is it Ji Hyun?” which stops both Kang and Ji Kyung in their tracks. Min Ho clarifies, asking Kang if the woman he mentioned in the States as wanting to find when he came back to Korea, was it Ji Hyun? Kang tells Min Ho that in the past, there was a time he would have discussed this with him. Kang takes Ji Kyung away, leaving Min Ho standing there all loserish. Yi Kyung wakes up, and Ji Hyun starts to chatter to her that Scheduler has gotten back his memory and remembers her now. She stops herself, asking if she can say this to her? Suddenly Yi Kyung looks at Ji Hyun, as if she can hear her voice. Ji Hyun wonders if that is true, and she calls out “unni, unni” to Yi Kyung, and lets out a sigh of relief when Yi Kyung doesn’t respond. Ji Hyun keeps talking, explaining that Yi Kyung was loved by Yi Soo. Yi Kyung wonders how this spirit knows about Yi Soo, making it clear that she can hear Ji Hyun. Yi Kyung walks to work, and Scheduler follows her, snapping his fingers to make the street lights come on one by one as Yi Kyung walks past. He follows her to the coffee shop, standing there just staring at her, remember her words of pain to Dr. Noh about how she felt hopeless after Yi Soo’s death. Scheduler tells her “I’m sorry”, and Yi Kyung grabs her heart in pain. 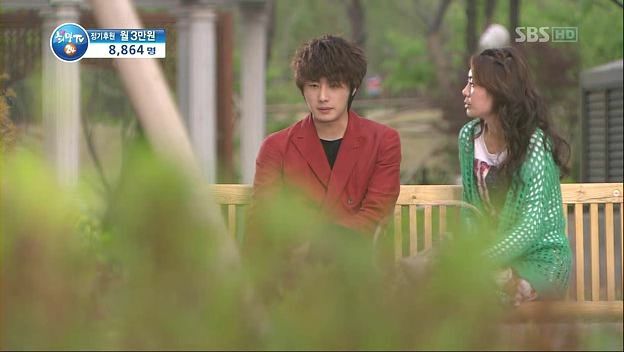 Scheduler steps forward as if to comfort her, but stops himself. 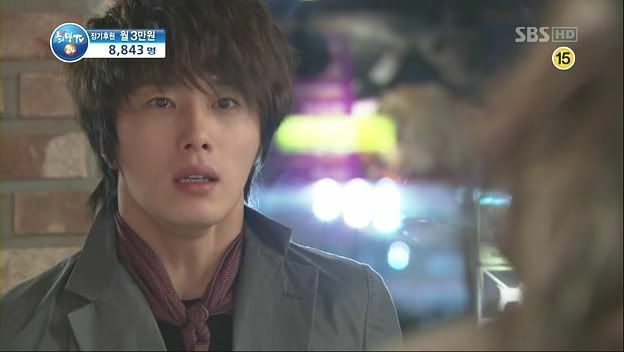 Scheduler turns around, which is when Kang walks into the coffee shop. Kang sees Yi Kyung clutching her chest as if in pain, and he walks up to her to ask if she’s alright. Yi Kyung says that she’s fine, and when she sees Kang, it sparks a recognition in her. Kang orders a coffee and she makes it for him. Watching this from the corner is In Jung, who clearly has found Yi Kyung. In Jung also realizes now that Kang knows who Ji Kyung is. 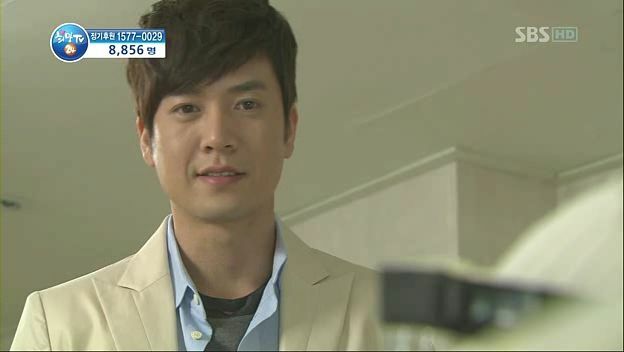 Kang takes his coffee and leaves, pausing to look back at Yi Kyung, wondering if she really doesn’t remember anything. 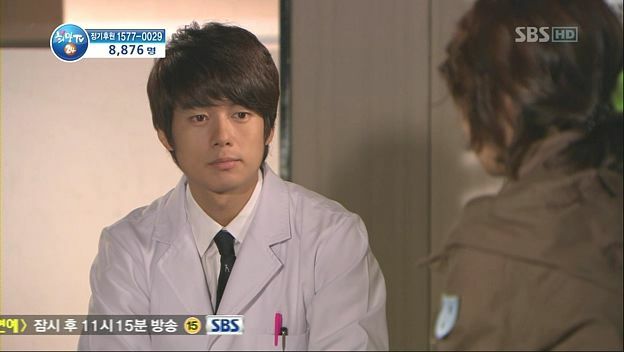 Yi Kyung looks over to the corner to see In Jung avidly watching her. Ji Hyun is resting in the apartment when Scheduler comes by to see her. She asks him what his wish after completing his Scheduler term was? He confirms the wish being that he would see Yi Kyung again in the form of Song Yi Soo. But until the term is up, he can’t reveal himself to Yi Kyung, and he can’t interfere with Yi Kyung’s life. Ji Hyun wonders how Scheduler for his memory back, and Scheduler says it was due to Ji Kyung constantly showing up in front of him. He warns Ji Hyun that if anything happens to his Yi Kyung during the remaining days that Ji Kyung borrows her body, he’ll make her pay. Ji Hyun says that she understands, hoping that the misunderstanding between them is cleared up soon. In Jung goes to see Min Ho, finding him smelling like drink and looking ragged. He asks why she’s here, and she says that she’s all he has left and he won’t leave his side. She tells Min Ho that he can stop refusing to acknowledge that Ji Kyung is Ji Hyun, since In Jung has confirmed it already. In Jung also reveals to Min Ho that Kang also knows Ji Kyung’s true identity. In Jung comes home and finds Seo Woo waiting for her. Seo Woo announces that they need to live apart. She asks In Jung to move in with Min Ho, revealing that she knows In Jung and Min Ho’s relationship has been going on for five years. Seo Woo realizes now that all the pretend sorrow from In Jung was just an act, but In Jung protests that it wasn’t. Seo Woo tells In Jung to look into her heart. So In Jung thought it was hard taking handouts from Ji Hyun, but why doesn’t she consider the strain or hardship on Ji Hyun’s family to take care of her? In Jung acknowledges that she initially acted out of jealousy, but she sees that even in death Ji Hyun has everything. In Jung reveals that Kang likes Ji Hyun, and is helping Ji Kyung now because she’s Ji Hyun’s friend. Ji Kyung is sitting at a bus stop writing a farewell thank you letter, thinking back to what the bum told her. She lists mom, dad, Kang, Seo Woo, and crosses out In Jung. Ji Kyung suddenly realizes that Seo Woo hasn’t cried for Ji Hyun yet, and she gets her hopes up again. She goes to the bakery to see Seo Woo, who is upset that Ji Kyung never told her that she was Ji Hyun’s friend. The doctor tells Ji Hyun’s parents, with Kang by their side, that he can be discharged in a week if everything is fine. Dad reveals that he saw Ji Hyun, who came to save his soul. Mom and Kang go to Ji Hyun’s room, and Kang asks mom how to cook seaweed soup. Mom realizes that today happens to be Ji Hyun’s birthday. Kang makes the seaweed soup and beckons Ji Kyung inside to drink it with him. He brings it over to her, pretending that he cooked too much and asking her to help him finish it. He pretends that he cooked it for Children’s Day, and she says that he might as well admit he cooked it for Ji Hyun’s birthday. She drinks it and realizes that it tastes just the way Ji Hyun’s mom made it. She thanks him. Kang asks if he can stop using formal language with her, since she’s just a year older than him. She agrees, and he tells her that Ji Hyun’s dad is doing just fine. Ji Kyung wants to go visit him tonight, and tell him to be nicer to Kang. Ji Kyung says that she hopes Ji Hyun will wake up soon. Min Ho visits Yi Kyung’s apartment, and gives money to the landlord to kick Yi Kyung out, pretending that he desperately wants to rent the room for three times the asking price. Min Ho calls Ji Kyung out, telling her that he’s just outside her apartment right now. Kang goes to see Seo Woo, telling her that today is Ji Hyun’s birthday. He pretends to know the day because Min Ho told him. Kang wants to do something nice for Ji Hyun, to which Seo Woo asks when he suddenly became so nice to Ji Hyun? Ji Kyung and Min Ho sit down to eat, with Min Ho pretending to be all nonchalant like everything is fine. Min Ho reminds Ji Kyung that he’s only ever taken her to this restaurant. He reminds her that she’s always hated this type of soup, yet here she’s willing to drink it, calling her Ji Hyun. He congratulates her on finding a way to come back, and asks whether her first priority is finding a way back to her body? Ji Kyung protests and calls him Kang Min Ho-shhi, and Min Ho says that she should be calling him Min Ho oppa, right? She continues to insist that she is Song Yi Kyung, and tries to leave. He tells her that if she insists that she is Song Yi Kyung, then she needs to stay put and not run away. He asks if there is a reason for her not to admit that she is Ji Hyun. He screams at her, asking why she’s gotten close to him. Uhm, to expose your scumbag ways? God, I thought you were supposed to be smart, Min Ho? Now you’re just stupid and a waste of a human being. Ji Kyung grabs her bag and runs right out of the restaurant, frantic with worry. Ji Kyung calls Scheduler in this emergency, asking him what to do now that Min Ho knows her identity. Scheduler tells her to use her brain, it’s the same as with Kang last time, not her fault so she won’t get punished. Scheduler is short-tempered with her, because she is wearing Yi Kyung’s face when she talks with him. Ji Kyung asks Scheduler who the person was that tried to commit suicide and caused the accident which put Ji Hyun in this position. Scheduler is reluctant to tell Ji Kyung, saying that she is at fault too for not watching the road. Ji Kyung makes the connection, realizing that it was Yi Kyung. She gets angry and tries pull at Yi Kyung’s hair. Scheduler stops her, telling her that it’s not her body, it belongs to his woman. Ji Kyung tells Scheduler that she is so frustrated right now, with ten days left and very little hope. The one friend she has, Scheduler, tells her that he doesn’t want to see her anymore because it hurts him to see Yi Kyung’s face. 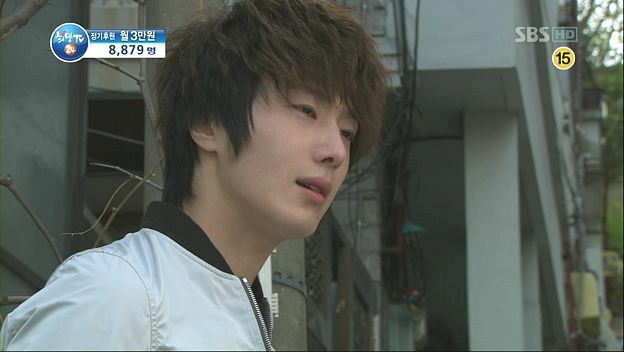 Scheduler tells Ji Hyun that she’s never know the pain of losing someone you love enough to die for. Ji Kyung yells at him that she’s also capable of loving. But she can’t tell Kang how she feels, because her emotion is Ji Hyun, but her body is Yi Kyung. She starts to cry, and Scheduler hugs her to try and comfort her. Ji Hyun breaks away from him, warning him that she is Ji Hyun, and that during the remaining ten days, Scheduler is not to come inside Yi Kyung’s room. That night, Ji Hyun is talking to a brooding Yi Kyung, raging at her for being the cause of her current situation. She’s so angry that she strikes Yi Kyung, which causes the chopsticks to fly out of Yi Kyung’s hand. Suddenly Yi Kyung sees Ji Hyun’s face, and Ji Hyun continues to rage at her. Yi Kyung grabs herself in fear, which is when the landlord comes to evict Yi Kyung. Ji Hyun is no longer angry, instead she’s worried about what will happen to her unni. Yi Kyung goes to work, where Min Ho is waiting for her in the coffee shop. He introduces himself to her, and asks that she go to work for him in a new housing development. He asks why she’s needs to go, and he tells her that she is in danger if she doesn’t leave. She tells him that she’s scared of nothing, and he tells her that he’s scared for her. He hands her an envelope, telling her that if she doesn’t leave, he’ll have to take other measures. 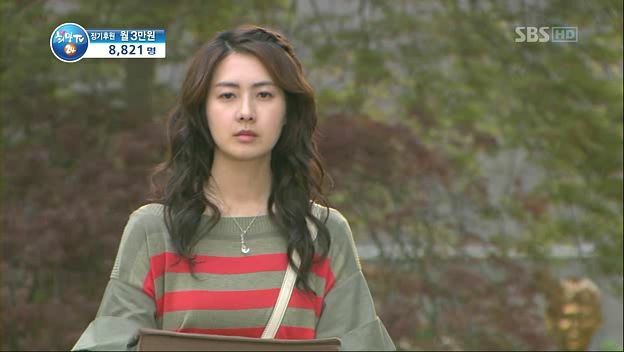 Ji Hyun is waiting for Yi Kyung to come home, worried that she’s not returning because she thinks Ji Hyun is mad at her. Yi Kyung is visiting Dr. Noh, who believes now that Yi Kyung is being possessed by a spirit, especially since random people keep coming to find her. Yi Kyung thinks back to meeting Min Ho, Kang, and In Jung. Yi Kyung comes back to her apartment, and she can clearly see Ji Hyun standing in the room looking all contrite. Yi Kyung opens the door, and tells Ji Hyun to get out. Yi Kyung begs Ji Hyun to leave, and she reluctantly agrees. Yi Kyung closes the door and lets out a sigh. Ji Hyun goes outside, but she’s wobbling and looking like she’s about to pass out. Yi Kyung packs a tiny bag and leaves, telling the landlord that she can dispose of the rest of the items in the room. 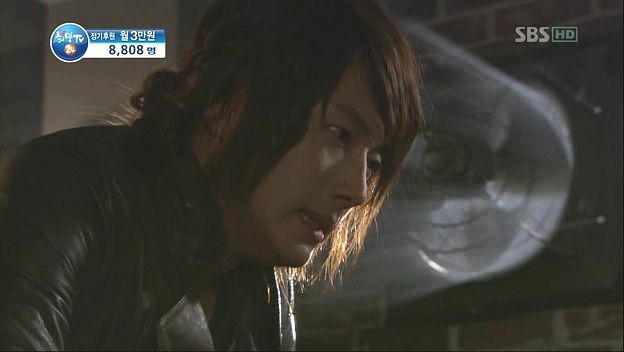 Scheduler tells Ji Hyun that even though he knows that Yi Kyung is about to run away, he can’t do anything about it. If he helps Ji Hyun, he’ll lose all the hard work he built up in the last five years. Ji Hyun sees Yi Kyung running off, and she runs after her. Kang arrives just in time to see Yi Kyung jumping into a taxi. Kang gets out, calling Ji Kyung but she doesn’t pick up her phone. Kang finds out from the landlord that Yi Kyung just moved out. Kang worried calls out for Ji Hyun, and he runs all over the neighborhood calling her name. 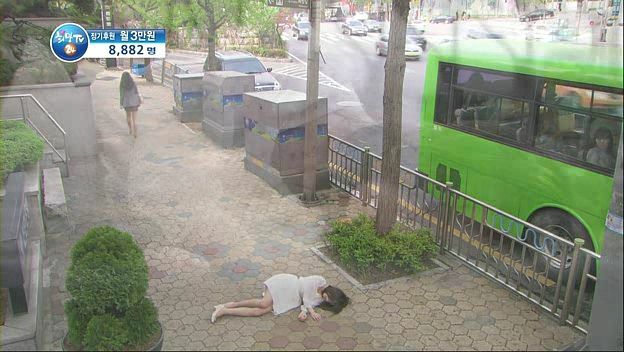 Ji Hyun can’t run any further, and she collapses on the street. Yi Kyung heads to the train station, and she gets on a train headed to Busan. A hallmark of a well-constructed drama is that there are more than one acceptable (and predictable conclusion). Even if the end-game is fairly certain, such as the OTP getting together, the hows and whys may leave us breathless with surprise. It took me until episode 9 to fully connect with this drama, and it took until episode 16 for another friend to get to the same point, which probably indicates that 49 Days isn’t a great drama. I don’t think so – I think it shows 49 Days is ambitious, has flaws in construct and execution, but ultimately, if you watch it, you’ll “get there”, i.e. completely get caught up in this drama. That is the hallmark good quality. In discussing the possible ending(s), I find we need to first discard the assumption that contemplating the ending possibly being bittersweet means that I am a puppy killer who wants Ji Hyun to not have her happy ending, because gosh darn it Ji Hyun is such a wonderful little lady and she deserves her happy ending and OMG how can anyone want her to just die like that. Sorry for the run-on sentence, but that above is a completely faulty assumption – if the story dictates an ending that does not result in Ji Hyun getting her three tears and resurrection, I contend that ending is NOT A SAD ENDING for Ji Hyun. It’s an unfair ending, but it’s not sad. Indulge me for a minute, but do understanding that I love Ji Hyun, and I’m merely discussing narrative probability. I think Ji Hyun’s accident was all meant to be, not the fault of Yi Kyung, the truck, Min Ho, In Jung, or Ji Hyun’s own fiddling with the phone. The proximate cause was all of those factors combined, but the purpose behind the accident was to set the wheels in motion so that all the wrongs could get righted. Without that accident, Ji Hyun marries Min Ho, and he and In Jung take her family for all their worth, and Kang never gets a chance to tell Ji Hyun his regrets. 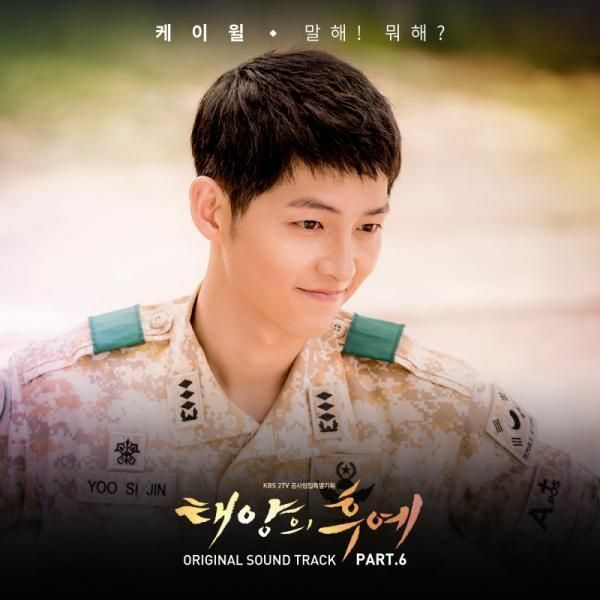 The accident gave Ji Hyun a chance to see the truth – about Min Ho and In Jung’s nature, about Kang’s feelings for her, about her own personality (the good and the bad). Ji Hyun is a good person, who ought to have a chance to live again. I want that for her. But I don’t think the drama necessarily sets her up to HAVE TO get that ending. If she doesn’t get her tears, I think Ji Hyun can depart without any worries, fears, and doubt, because she got her 49 days to fix everything in her life. Perhaps the the 3 tear quest is in fact a feint, a cleverly constructed mirage which true purpose is not resurrection, but redemption and second chances. Ji Hyun was right, you know, when she told Scheduler that whether or not she got her three tears was completely out of her control. 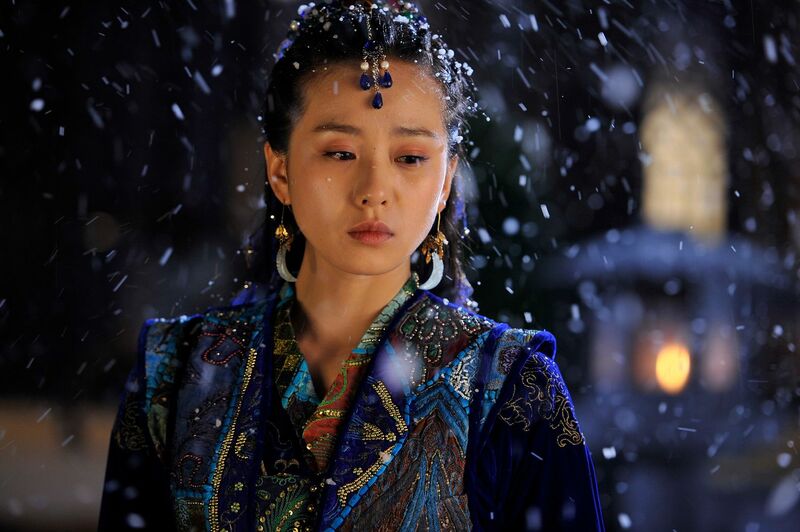 The three tears are already predestined, depending on whether Ji Hyun (or any person given this chance) has done enough when she was alive to merit three people crying in genuine sorrow over losing her. If Ji Hyun gets her tears and resurrects, I’m content that she’s gotten a second chance. If she doesn’t, I know that she’ll feel satisfied that she’s taken care of her mortal life and can leave without regrets. This is my take on 49 Days – the writer has created a story where different paths are equally as valid and acceptable, and we the audience simply must accept that somethings life can be unfair and uncertain, but it’s how we choose to live with the limited time that we have that is the most important thing of all. Wih…… this is so great!! Thank you so much, ockoala! You made my day yet again! 🙂 JIW kills me with his performance, and that last pic of him totally reminds me of his Iljimae. <3 This drama is like a roller-coaster ride with no discernible end in sight, and my, what a ride!! Now, how to last until next week is the question. 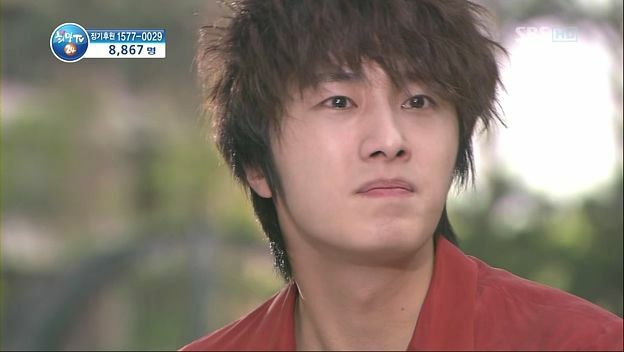 When I watched Secret Garden I sort of lost interest after episode 13-ish. It’s really a fresh change to watch 49 Days being able to continue churning out steam Yunno, at the point where most Kdramas tend to be lukewarm and meh-ish. Thank you for this quick recap, even if you’re doing two recaps in a day! Thank you so much!!! I think the next tear is going to come from MINHO….!!! cause even though all the MinHo and InJung planning and sinister plots was to get JiHyun’s family money, the end result is that he really did fall for JiHyun..
my money on Min-ho too, but I doubt it In-jung will shed a single tear for Ji-hyun, and it would be awesome if Min-ho’s happens to be a the last tear she desperately needs on her last day.. I really think MinHo would be one of the tears.. I don’t think IJ will be one of the tears, for the simple reason that the tear has to be a pure tear. Even if IJ suddenly develops a conscience and starts thinking like a , you know, rational human being; any tears she shed would be tinged by guilt. That is, if she could even feel guilt or remorse. Personally, I think she’s hopeless. MH, on the other hand, I still hold out a tiny sliver of hope for. In Jung and Min Ho’s tears will be tainted with guilt, somehow, don’t you think? My goodness, this is sooooo good. I haven’t seen the episodes but I cried reading your recap especially when I read how Yi Soo worked so hard to buy the ring and how happy he was looking at it, how he died *sniff* *sniff* how his last thoughts were of his happy days with his beloved YiKyung * sniff*. Somehow I don’t want this drama to end yet. I really want Yi Kyung and Yisoo to be happy. I think JH will come back to life and live happily with Kang. But who knows. I really want YiKyung to find happiness. I hope Kang and YiKyung will become close. wow…thanks for the recap…yes i agree that this drama made me feel anxious and impatient waiting for Wednesdays and Thursdays to arrive. (in fact, i wished its wenesday and thursday everyday!! 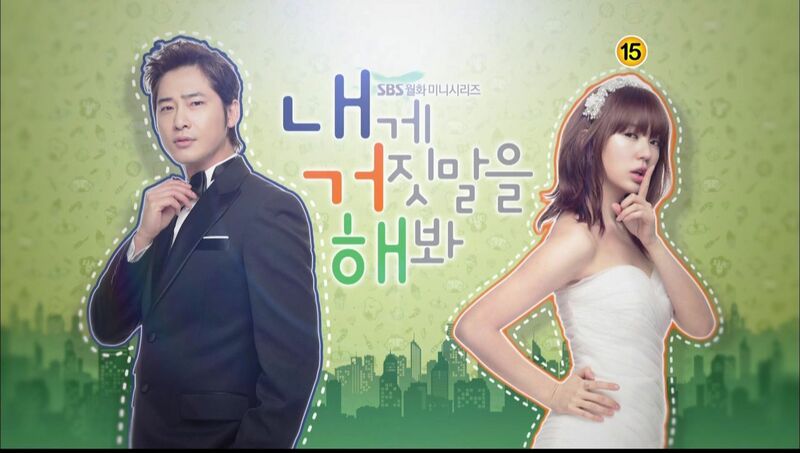 !hahaha) This is the only drama that gives me the urge to watch it online while it still Aires in Korea. It keeps me thinking what will happen next?and to think that the actors/actresses are my favorites since their former shows….today, after watching this, I feel like I want to time travel and watch it ahead of time..hahaha…keep it up!! the scene where Scheduler turned away because he can’t approach her, and then in came Han Kang… symbolism? will Kang replace Scheduler later on? Hhhmmm….I hadn’t thought of that. It could be. The great thing about this drama is that it really does keep you guessing. With most of the dramas out there we’d be able to see the end game by now, and it would just be a matter of finishing things; but with this drama I really don’t know how everything is going to end. I’m not certain that JH will get her 3 tears, or that we’ll get a happily ever after, or who’s going to end up with who. Only 4 more episodes and I’m still wondering how the writer is going to wrap everything up….how fun, for a change! the scene where Scheduler turned away because he can’t approach her, and then in came Han Kang… symbolism? will Kang replace Yi Soo later on? I cried two times watching this episode. Ahh so sad. 3 – yi kyung herself . can’t wait for episode 17…. I would’ve never thought I’m saying this. I’m finally 100% can’t take my eyes off show whereas I’ve spent the previous 15 eps some way or the other not fully engaged. This tops my best 49 ep yet! I’m screaming at the IncredibleKang to palipali drive and chase that taxi down and speed up his already impossibly superhuman analytical skills. ockoala ur comment on JH was all true n accurate regarding whether she get 3tears or giving her 2nd chance to finish d uncomplete task she has. Its true dat its not totally Y faults to cause d incident snc if not she wont kn d real color of Minho n Injung.Im glad dat she nw kns Kang’s feelings 4 her so it wil b gr8 if she rem’ber him aftr getting d tears n bak to life.Even if she didnt get d tears also d ending wiont b a sad ending snc during these 49days alloted to her she came across so many things which she wont hv if she was alive so either way i’l go wid wateva d writer has in store with d 4 remaining eps. I’m with you on this. First, I love Ji-hyun too. Talking second chance which involving waking up from vegetable stage, getting the love of your life, not to mention fixing all the problems in life, but the most important thing, figuring out who you really are. We saw that she’s maturing probably for the first time in her fairytale life. I agree with you, if she doesn’t get her tears, she still gonna go to the afterlife with some kinda ease. Knowing Kang-ah will fix all the problems, dad’s fine, Min-ho’s evil plan is disclosed and maybe a love declaration which involving some kissing with Hang-kang before her tear pendant breaks. But, if she gets her tears and gets together with her Kang-ahh, I’m happy for her (If I were her, I’d be a nun and devoted the rest of my life to humanity). What about Yi-kyung? Abandoned from the age of 5, the love of her life who literally her whole life died. The thing that happens to her is the thing I’m most afraid, having a bad conversation with your love one and the next thing you know they’re gone. Ji-hyun is fighting death but Yi-kyung “died” five years ago with Yi-soo. I know that Yi-kyung and Yi-soo need their closure and proper goodbye, but damn I want to see her get her own happiness in the end of the story. Her chance for once in life, they said life can be unfair, but I was told that it will find some kinda equilibrium some how, so if there’s a queue of second chance, this girl should be first on the list, and no, I don’t want that doctor be a part of it. aissh that one long rant, sorry. 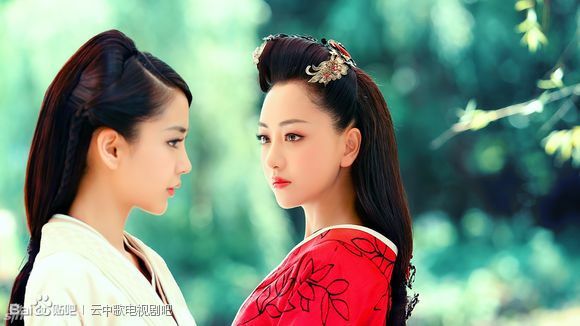 Another two tear drop will come from SYK and her friend Ji kung. tnx for the recap. i don’t watch k dramas anymore, but i’m really curious about 49 days, i’ve been reading your recap since day 1 so keep it coming!